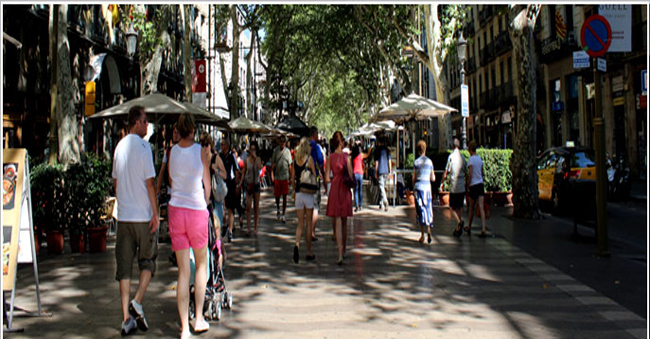 Barcelona is highly tempting city for shopping lovers. You must care for your bucks as you are sure to prove a big spendthrift. It is very rare to behave like a cheapskate in the city Barcelona. The best shopping freaks happen to go crazy for trendy shopping in Las Ramlas- one of the most spectacular and stylish streets OF Barcelona. Placa Catalunya is a name popular as temple of shopping and it sells brands like hot cakes. If you have an international taste then classy brands as Chanel, Armani, Cartier, Miró, Mont Blanc or Zara are in abundance to shop for. Barri Gothic is further place that extends cultural shopping for you. The layers of Barcelona city unfolding its ancient culture and antiquity are found here. City's multicultural feel can be viewed at El Raval where tourists roam to and fro to enjoying and paying visits at small music shops, hunting for little items and making it a busy time pass. Purchasing a souvenir for your loved ones and surprise them with gab of gifts, you can drop in Maremàgnum where you have everything to buy.